OK Oppo, let's pick your brain. 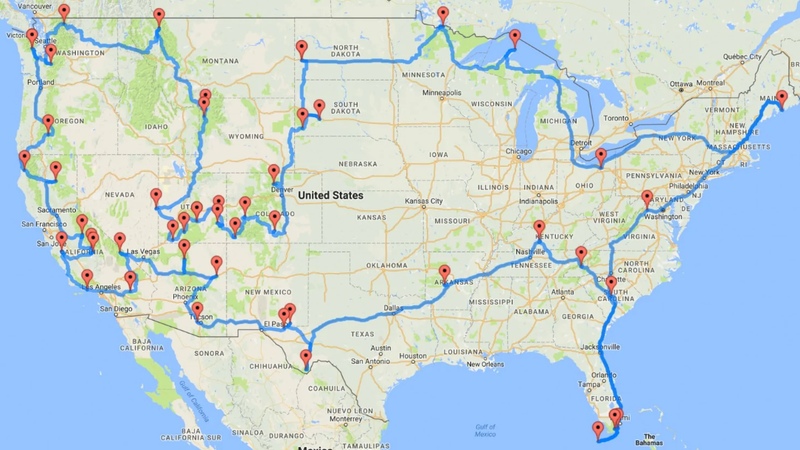 Which is the best vehicle for this trip? you your spouse and 1 or 2 kids.You and your spouse will switch driving so think of that. Can be any new or old car. Any price. Consider all the conditions- Needs to be comfortable but not boring, Lots of highway miles so needs tech and safety features to keep you sane and safe. Decently fuel efficient (Take 87 octane which is more widely available perhaps), Quite and Good ride and ground clearance that will do well across all roads including unpaved ones. Assume trip timing in Fall so needs to be good in any weather from 90F in the South to rain and snow in the North, I would say preferably AWD because you can’t be a set of carrying snow tires unless you take a huge SUV. From sea level to 12,000 Feet up so something that doesn’t lose a lot of power. Reliable, possibly with spare tire and even if something happens should be able to fix it almost anywhere so think carefully about that expensive German car idea. I thought of GT cars, wagons, even SUVs but top practical choice is a compact crossover- 2019 Mazda CX5 Turbo. It’s got the dynamics, space, tech, safety and that sweet 310 Lb/ft of torque. 227HP even with 87 Octane. Apple Carplay and Android Auto so you cant complain about the infotainment. Not boring to drive, decently efficient. Here’s some other options I considered.